Using LEGO ® blocks to create a uniquely visual and clear depiction of the way our universe is put together. This is the perfect introduction to the enigmatic and fascinating world of Quantum Physics. Our story starts with the Big Bang, and along the way, the constructs and interactions within and among atoms and sub-atomic particles, and the forces that play upon them, are clearly explained, with each LEGO ® block representing a different atomic or sub-atomic particle. The different colours and size denote what that particle is and its relationship with the other 'building blocks'. Each chapter is presented in digestible chunks, using toy building blocks to illustrate the ideas and experiments that have led to some of the biggest discoveries of the past 150 years. 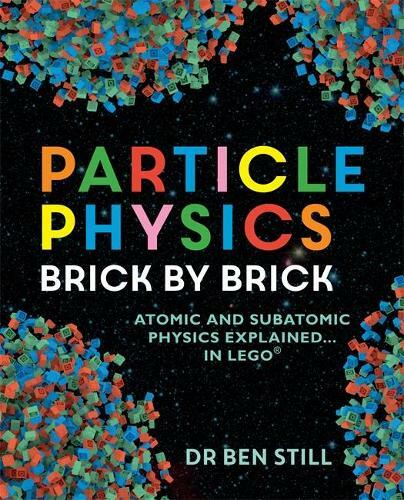 Soon you'll be able to construct every element in the Universe using a box of LEGO ® and this book!